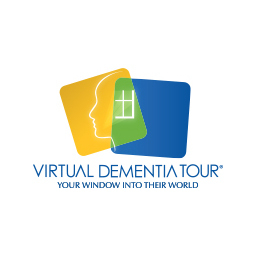 Description: The Virtual Dementia Tour (VDT) is designed to help simulate the effects of dementia. A trained facilitator will guide participants outfitted with patented devices that alter their senses while they try to complete common everyday tasks and exercises. The Tour enables participants to experience for themselves the physical and mental challenges those with dementia face, and use the experience to provide understanding in working with individuals with dementia. Please join us for a Virtual Dementia Tour - and a tour of Insight! This program is offered by Insight Memory Care Center free of charge. All faith leaders and faith community members are welcome to attend to learn more about the experience of dementia, as well as see firsthand the programs and services that Insight provides. Space is limited to 16 attendees - RSVP today! This form stopped accepting submissions on February 27, 2019 10:00 am EST.